(Constable). Madhya Pradesh Professional Examination Board (MPPEB) Recruitment Board, latest notification for Jail Prahari (Constable). 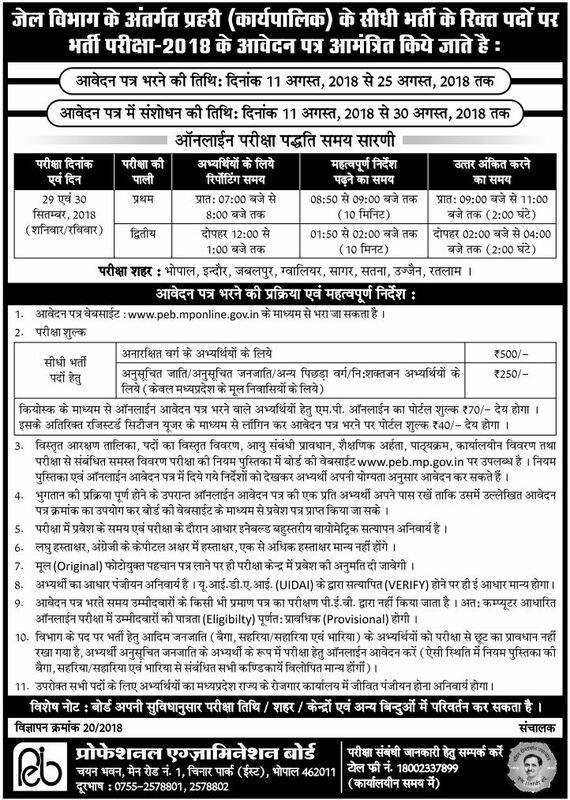 Applicants can get full advertisement below and submit the MP online application at peb.mp.gov.in. Applicants who are going to apply, ensure that you are eligible for post of Jail Prahari (Constable). The applicants will have to apply online, no other option. The last date of submitting online application is 03.08.2018. MP notification further information such as eligibility criteria, syllabus and how to apply etc. listed below. Education qualification: 10+2 Intermediate in Any Recognized Board in India. Payment of application fee can made through Cash at KIOSK Or Pay Debit Card, Credit Card, and Net Banking Fee Mode Only. 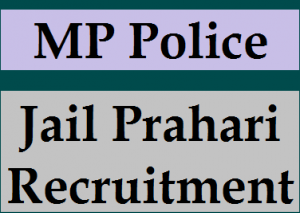 How to apply: Eligible applicant require to apply online through MP Jail Prahari Recruitment 2018 website peb.mp.gov.in from 03.08.2018. 6. Make the payment by KIOSK Or Pay Debit Card, Credit Card, and Net Banking.